Cetradonia linearis ("rock gnome lichen") on a wet rockface in Tennessee. This is one of two lichen species on the U.S. Endangered Species List, and it should never be collected. 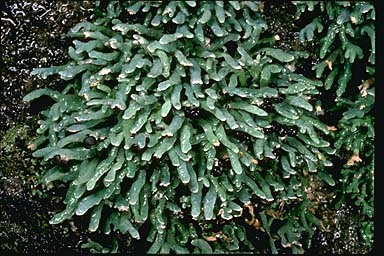 It only grows on a few wet cliffs in the Appalachian region.